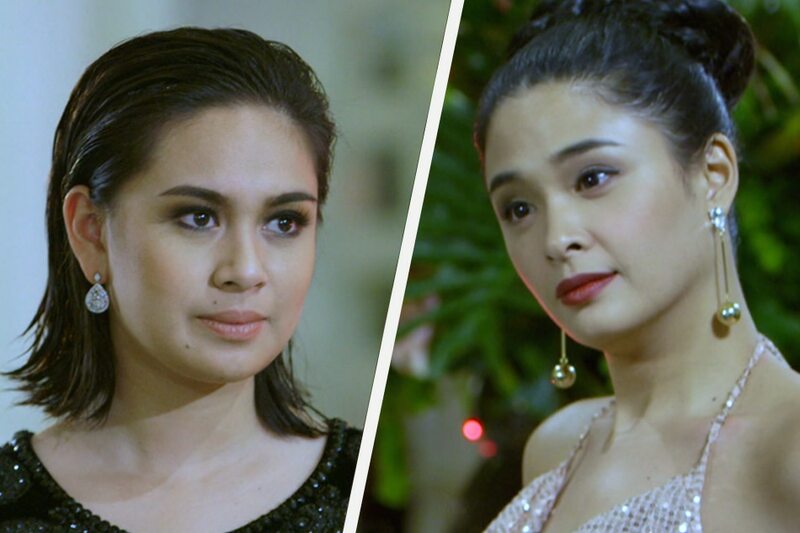 Wednesday's episode was essentially just a build-up to the much-awaited confrontation between Jacky (Yen Santos) and Jade (Yam Concepcion). Given that the show has already been teasing the confrontation everyone has been waiting for since the start of this week, this Wednesday's episode of "Halik" felt a little too occupied with setting things up for that. At every turn, we take one tiny step closer to Jacky (Yen Santos) pouring water all over Jade (Yam Concepcion) and her expensive dress at a party, and it sacrifices a bit of oomph just to highlight that there's something more exciting just around the corner. Sure, there was the moment Ace (Sam Milby) accidentally meets up with Jade at the same restaurant his mother, Helen, was eating at, leading to the two women confronting each other. Helen degrades Jade by telling her that she's nothing more than a "rat," obviously a sign that she disapproves of his son satisfying his promiscuity with a relative nobody like her. This gives Jade the proper motivation to prove that she's more than just a cheap replacement for Jacky, which helps us understand her tirade about being an upgrade over Ace's estranged wife in the teaser for Thursday's showdown. That incident also instills in her a doubt as to whether Ace is proud of their relationship, since her boyfriend essentially ignored her at the restaurant and went straight for his mother. But going back to Jacky, in her bid to help Lino (Jericho Rosales) and get back at Ace at the same time, she made it so that the former will be let in at the party. For context, the party is for the launching of an upcoming upscale hotel and casino in the city. And that presents a huge chance at a profit for Lino and Ace –both in the furniture-making business. In this episode, Jacky explains that she's willing to drag Ace's company –which is also her family's– through the mud because she wants to protect the legacy of her grandparents who put up that same company with integrity. The final scene sees all four of them finally meet and it'll all go down tonight, Thursday: Lino vs Ace and Jacky vs Jade. Which side are you on?